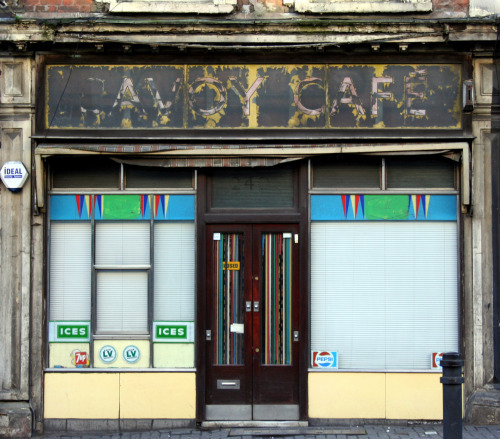 Yesterday, while driving down Graham Road, I looked in vain for the beautiful art deco facade of the long-closed Savoy Cafe, only to realise it had been ripped out and replaced by a cheap aluminium facade. 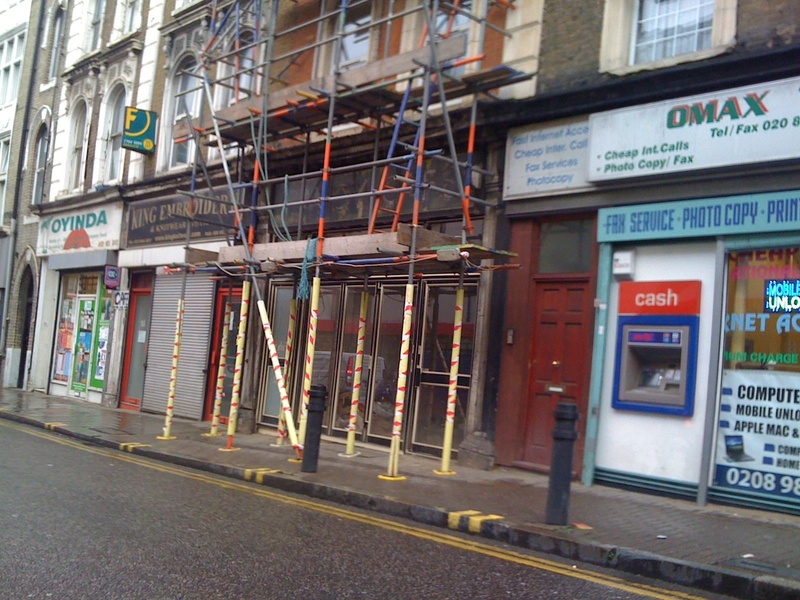 There is no planning application on the Hackney Council website, which seems odd – shop owners can do what they like to interiors, but my understanding is that exterior alterations – desecrations, in this case – require permission from the council. But I suppose the way around that is to do it on a Bank Holiday weekend, and then it’s too late to do anything about it by the time it comes to light. Very sad, and a loss to the local area of a wonderful piece of history. Thanks to Emily Webber of London Shop Fronts for the great photo. Update: After talking to an architect I know, I now think that the council should force the builders to reinstate the cafe. They had no right to rip it out, they did it without permission and without any thought of the history and unique features of the building. So they should simply rebuild it as it was. If you feel that this should be done, feel free to write to Hackney planning department and let them know. They are investigating this as an urgent case, and it’s not too late to ask that it be retained. So much on this weekend, and so many people hit the road to leave London, giving the rest of us a bit of breathing space. Here are some suggestions…..